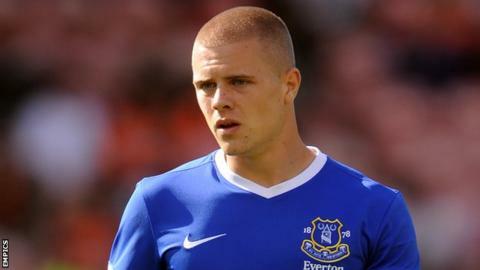 League One side Brentford have completed the loan signings of Everton defender Jake Bidwell and Norwich City midfielder Tom Adeyemi. Left-back Bidwell, 19, played 25 games during a spell with the Bees last season and has agreed an initial one-month deal at Griffin Park. Adeyemi will remain with the Bees until 28 January. The 20-year-old, who has made 17 appearances for the Canaries, spent last season on loan at Oldham Athletic. Brentford manager Uwe Rosler told the club website: "Jake fitted in very well to our squad and our style of play last year. "The left back position is very important in our system and we needed to bolster the squad in that position. "Tom is a dynamic midfielder who adds to us very good ability. "He is good on the ball, powerful and adds height and an enormous amount of work ethic."